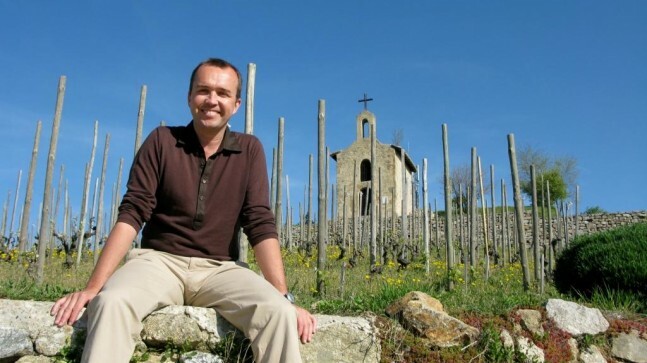 To launch the ‘Sommelier’s Palate’, the very first to be featured and quintessential sommelier is Christophe Brunet, French born but living in Spain for over 15 years now. Apart from being a legendary, veteran sommelier, it is most pertinent that Brunet represents the evolution of a career sommelier; from restaurants to the wine trade and now a Wine Ambassador for Primum Familiae Vini representing some of the most famous vineyards in the world and subsequently perennially travelling and interacting with sommeliers all over the planet. Recently I am drinking wines from Ribera Sacra, Burgundy and the Rhone more than any region. May be this old Chinon, Clos de La Dioterie 1978 from Charles Joguet when I was at my wine scholl in the Loire Valley – But there are so many after this it would be hard to mention them all. Recently as well a 1976 Scharzhofberger Trockenbeerenauslese from Egon Müller and a Bass Philipp Estate Pinot Noir few weeks ago!! The wines from Montcalmes in Puéchabon Languedoc!! To have the three components is not easy (dramatic scenery, inspiring vineyards and good eating) but I would say the Rhone Valley.